Infections caused by anaerobic bacteria are common, and may be serious and life-threatening. Anaerobes are the predominant components of the bacterial flora of normal human skin and mucous membranes  and they are a common cause of bacterial infections of endogenous origin. Because of their fastidious nature, they are difficult to isolate from infectious sites and are often overlooked. Their isolation requires appropriate methods of collection, transportation, and cultivation of specimens [2–5]. 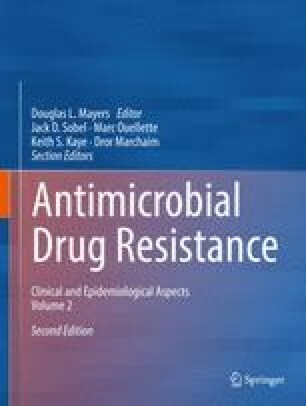 Treatment of anaerobic bacterial infections is complicated by the relatively slow growth of these organisms (which makes diagnosis in the laboratory only possible after several days), by the frequent polymicrobial nature of the infection, and by the growing resistance of anaerobic bacteria to antimicrobial agents. European Committee on Antimicrobial Susceptibility Testing: Setting breakpoints for new antimicrobial agents. EUCAST SOP 1.0; 2010. http://www.eucast.org.